Your marriage may be coming to an end, but that doesn’t mean you also have to lose your business. It’s not uncommon for spouses to demand ownership stakes in a business. Can you imagine having to work with your ex to make major business decisions or having him sell his share to a competitor? In a worst-case scenario, a spouse may even be able to force the sale of a business or may be able to get full ownership. No matter how in love you think you are, getting a pre-nup is always a smart decision, especially if you already own a business. In the pre-nup, you can designate your business as non-martial property, meaning your spouse won’t have a claim to it in the event of a divorce. If you didn’t sign a pre-nup, or if you started your business after your marriage, the best way to shield your business is to draft and sign a post-nup that designates your business as non-marital property. Beware, however, that a post-nup doesn’t always stand up in court, especially if it was written and signed soon before you initiate divorce proceedings. A business attorney can help you create this document, which can put limits on a spouse’s ability to get ownership of your business. Again, this type of agreement must be drafted and signed long before divorce is in the picture. 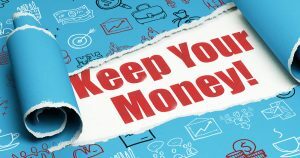 Keep the finances of your business and personal life separate, otherwise, it will be easier for your spouse to argue that your business is part of your shared marital property. For example, don’t use your personal savings to run the business or refinance your house and put that money into your business. It isn’t uncommon for a spouse to help out at a business, especially if you are building a startup. However, the more your spouse contributes to the business, the more legal grounds he has to claim he was integral to the business’s success and deserves some ownership stake. Keep your spouse out of the business, or, if he’s currently working at the business, try to ease him out. If you didn’t take precautions before the divorce to protect your business, then you’ll need to do everything you can during the divorce proceedings to maintain full ownership in the business. If you let your spouse have any stake in the business, he could sell it to anyone or handicap your ability to run the business. That might mean you have to give your spouse other concessions to split the assets fairly. Do what you have to do. Retaining full control of your business is too important!